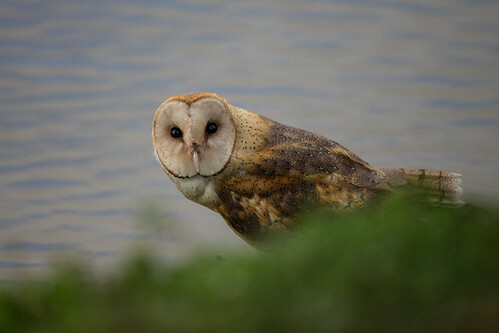 Everyday, we have some visitors. I cannot greet them all, but I sometimes hear their laughter from outside, mentioning the sign of "Free, except Table". Interestingly, 70% of our visitors read this sign aloud! And some people told me, "I like this sense of humor." Because I am the one who made this sign, I can tell the reason why this is funny. For visitors, taking the free old table is the last thing they can imagine. They never expect to get an old table at temple, even it's free. Reading this sign, however, they are forced to realize they can take the old table and then imagine the possible funny scene that they are carrying the old table. I think that's the reason why they laugh. After getting to know people's reaction here, I was very glad to know the sense of humor is universal. At the same time, I started to worry....This sign is very dangerous for our temple. 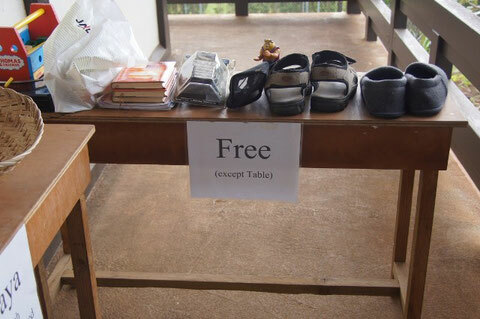 The sign, "Free, except table" could mean "everything, except table, is free. " Since that's not true, I should change this sign today. It is my sincere hope that I want to offer "sense of humor" to you at the temple or here in this blog, since sense of humor and enlightenment are something similar. While the sense of humor could make people laugh and awake what they don't realize, the teaching of Buddhism could make us awake....the truth.